Marika grew up in the small town of Agassiz, BC. University pursuits drew her to Coast Salish territories (what is now called know as Vancouver) and its intrinsic beauty has kept her here ever since. While exploring the forest and ocean during her work at a remote youth outdoor camp near Deep Cove, Marika reunited with her childhood sense of wonder for the natural world. She has grown a particular fondness for insects and is pursuing a career as a pollinator biologist. Marika completed her Environmental Studies diploma at Langara College and moved on to UBC’s Applied Biology, Plant & Soil Sciences program. 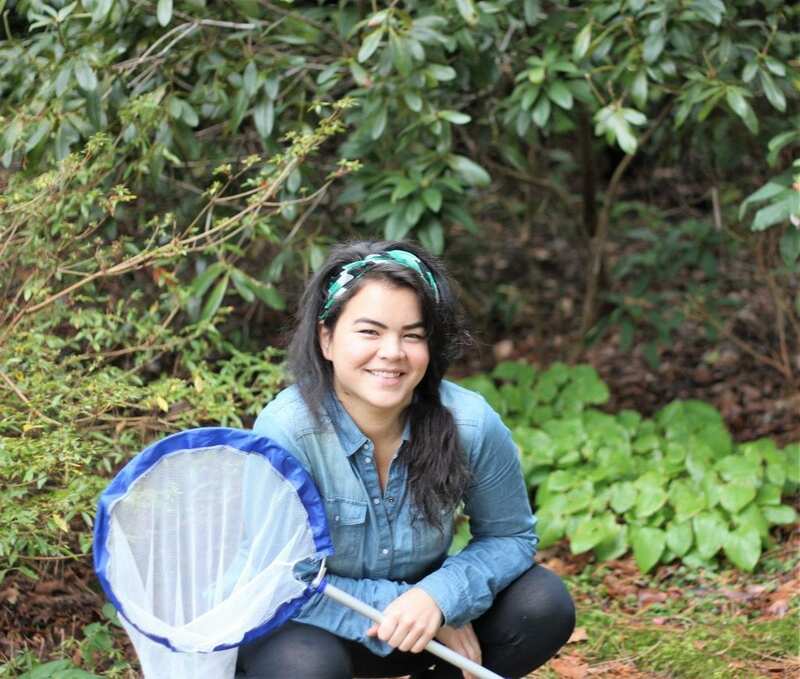 For her undergraduate thesis, she investigated the status of wild bee populations at the UBC Farm. She is a life-long learner and has 10 years of experience working with diverse ecology and environmental education-based organizations across the city. Intersecting with her love for bees, Marika gains excitement through connection and community engagement. Marika manages EYA’s Native Wildflower study program, engaging Indigenous youth from UNYA’s Cedar Walk and Aries Alternative programs.